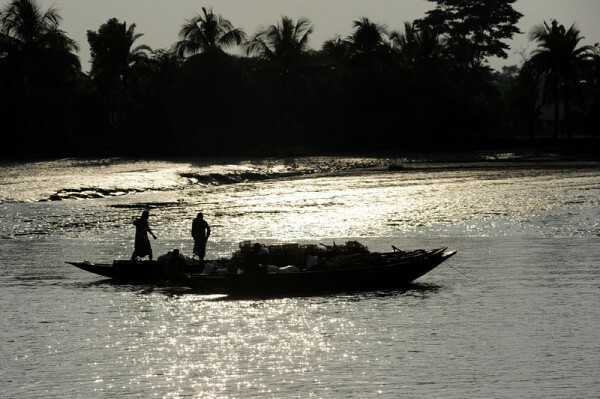 A plan to erect a coal-fired power plant in Bangladesh next to the Sundarbans, the largest mangrove forest in the world which straddles Bangladesh and India, is drawing fire from activists in the country who say it would destroy the world heritage site. The proposed 1320-megawatt plant, to be built in the area of Rampal in the southern Bagerhat district, was initially put into motion in a bilateral agreement between Bangladesh and India during the Bangladeshi prime minister's tour of India in 2011 before an environmental impact assessment was conducted by Bangladesh's Environment Ministry. On 20 April, 2013, the Power Development Board of Bangladesh signed [bn] three agreements with India's National Thermal Power Corporation, which made the implementation official. The project, estimated to cost 1.6 billion US dollars, is expected to be completed by 2018. When the government finally released an environmental impact assessment (download in PDF from here) on the power plant, environmentalists rejected it in a consultative meeting, organized by the Power Division on April 12, arguing that the report did not take into consideration most of the important environmental aspects of the Sundarbans, its ecology, flora, and fauna as well as a large number of local people. Moreover, the report stated that (page 208) once the proposed site was a part of Sundarbans, but had been evacuated by the settlers later. Bangladesh's energy infrastructure is known to be quite small, insufficient and poorly managed. Only 40% of the population has access to electricity with a per capita availability of 136 kWh per Annum. So there is a huge pressure on the Government to meet the growing demands of electricity. The National Committee to Protect Oil, Gas, Mineral Resources, Power and Ports urged citizens of both India and Bangladesh to carry out concentrated efforts to stop the power plant on its website. An 1320 MW plant would be established in Rampal of Bagerhat which is only 14 kilometres away from the Sundarbans. According to the Indian Wildlife Protection Act 1972, no such power plant should be established within 15 kilometers of a forest which is home to sanctuaries for tigers and elephants and wildlife. The building material and equipment for the plant would be transported on the river. So it is stated in the EIA report that the increase in transport of engine ships, oil spillage, noise, light and air pollution, etc. will have an adverse effect on Royal Bengal tigers, deer, dolphins, the mangrove forest and other ecosystems. Analysis of the EIA report for the proposed power plant reveals that the building, operation, and coal transport for the 1320 MW coal-based power plant in the Sundarbans would create an adverse effect on the Sundarbans mangrove forest in the coming years, suggesting that it should be scrapped on environmental grounds. দ্বিতীয় জরুরী প্রশ্ন হল- অন্য কোথাও বিদ্যুৎ প্রকল্প করা হলেও আমরা কি কয়লা ভিত্তিক বিদ্যুৎ প্রকল্পের ক্ষতি সামাল দিতে পারব? First of all, these mangrove forests save Bangladesh from natural disasters. So why would you put a project in the vicinity of this forest that will destroy its wildlife, its flora and fauna? Any concerned person would say no. We don't need such power which will destroy my country's ecosystem. Secondly, even if the plant is shifted, will we be able to restrict the damaging effects of burning coal for the plant? Blogger Banglar Hassan [bn] reminded his readers that a similar project had been turned down in Odisha, India as it failed to obtain environmental clearance. যে বিবেচনায় এনটিপিসি নিজের দেশে বিদ্যুৎ কেন্দ্র নির্মাণ করতে পারেনি সেই একই বিবেচনায় বাংলাদেশে কী তাদের প্রকল্প বাতিল হতে পারে না? The reason why NTPC could not build a power plant in its own country is not strong enough to stall their similar project in Bangladesh? 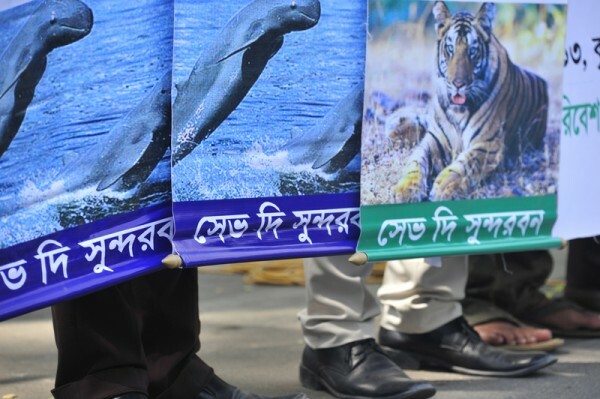 Facebook event to save Sundarbans. Image courtesy Omi Hasan. Facebook events have been created to raise awareness of the planned plant. The dates of offline protests will be announced soon. I live in Cologne in Germany. This is a famous city for coal mine and coal power plant. But still it is one of the greenest city in Europe. Technology can make a big difference. Now it is possible to establish a powerhouse without destroying plants.